The best part of Easter for most little kids is the egg hunt. While any parent can add some jelly beans and be done, we know you're looking to take your egg hunt to the next level. 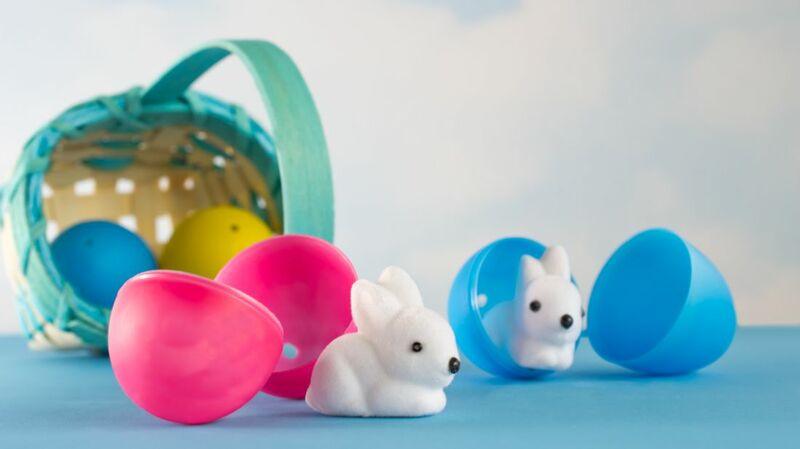 Here are some non-candy items that fit nicely in those little plastic eggs. These adorable animal erasers are a step above the usual pink ones you might find in most pencil boxes. There are 20 animals randomly selected in each package. An even better deal is this shipment of 144 plastic Pokemon figures. You can cover your whole lawn in eggs with that kind of stock. Thanks to their hollow nature, finger puppets are easy to fold up and stuff in eggs of any size. These little animal puppets come in packs of 12. Buy a small LEGO kit and disperse the pieces in different eggs. Now your child can slowly piece their LEGO creation together. You can also just pop in some minifigs for a quicker reward. Cover your kids in festive tattoos. These colorful Easter-themed tats come in groups of 144. Buy 12 special balloons that come with rubber bands on the end. The balloons are perfect for punching and getting some of that pent-up sugar energy out. Just like the LEGO pieces, you can hide a few puzzle pieces in each egg. Turn your egg hunt into a treasure hunt by writing clues on these stickies and hiding them in each egg. Together, the clues can reveal where to find the big prize, like a giant chocolate bunny or Easter basket. Buy a ream of tickets and write whatever you'd like on them. Things like "trip to the zoo" or "good for one new book" are sure to be hits. Get your child interested in spring gardening with packets of seeds. Plant some carrot seeds in hopes of bribing the Easter bunny next year. Hide some beads and string in various eggs and you can have a fun craft session after the hunt. Remember grow capsules? They're the perfect size for hiding in eggs and come in lots of themes like dinosaurs, vehicles, and bugs.